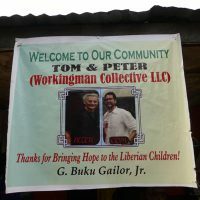 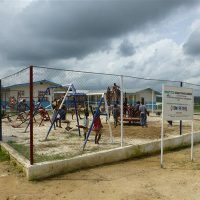 "...We've been exploring Monrovia, shaking hands, listening, digging into all kinds of research, completely blown away each day, and flat out humbled by what we have seen and the people we have met..." – Workingman Collective. 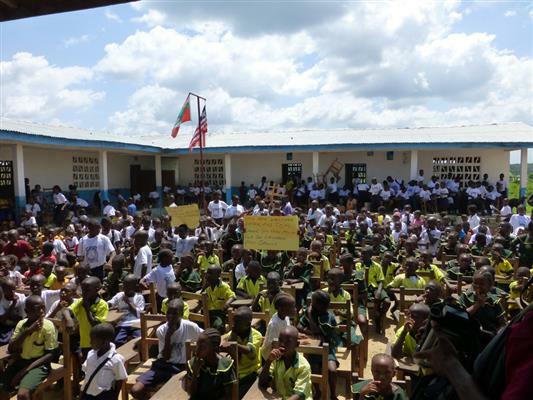 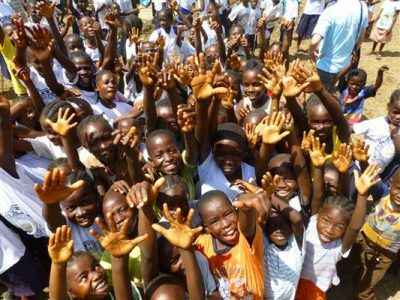 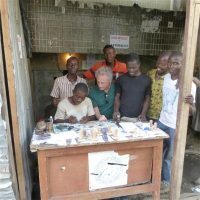 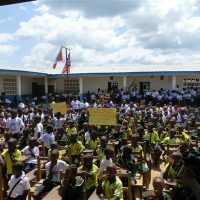 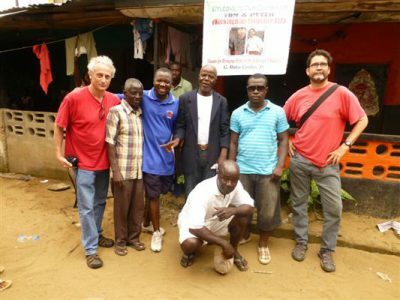 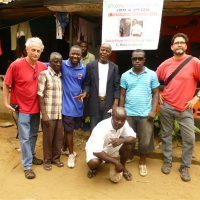 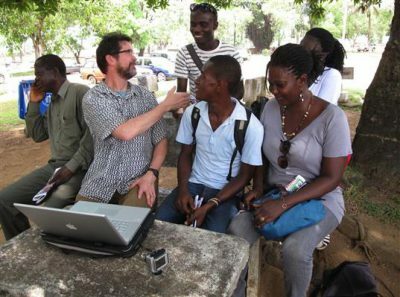 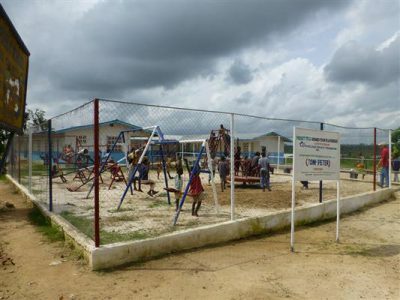 “…We’ve been exploring Monrovia, shaking hands, listening, digging into all kinds of research, completely blown away each day, and flat out humbled by what we have seen and the people we have met. 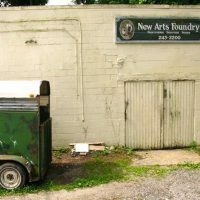 From the artists working with children, actor/writer activists working to leverage change in government arts policy, to the lone university art professor in the whole country who is inspiring his students against all odds and an administration that is struggling to rebuild and cannot find support for the arts, to the women quilters embedded deep in the community empowering young men and women. The work throughout is pure, beautifully made, raw, thoughtful, and done with very little to no governmental support.” – Workingman Collective. 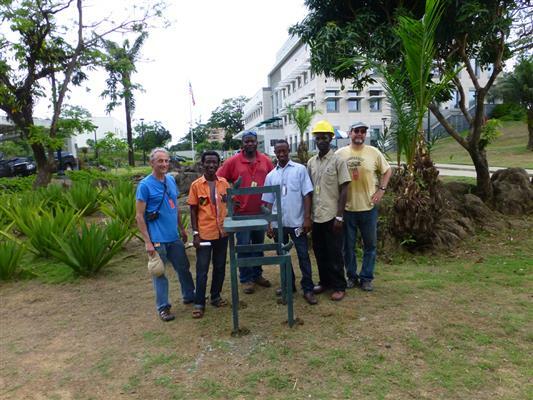 Workingman Collective’s Tom Ashcraft and Peter Winant, visited the New Arts Foundry in early September 2013 to work with owner Gary Siegel and artist Blake Conroy on the bronze casting of the sculpture commission for the grounds of the Embassy in Monrovia, Liberia. 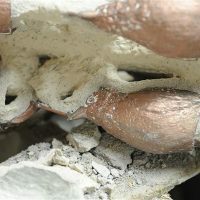 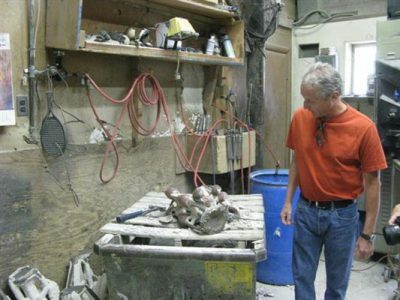 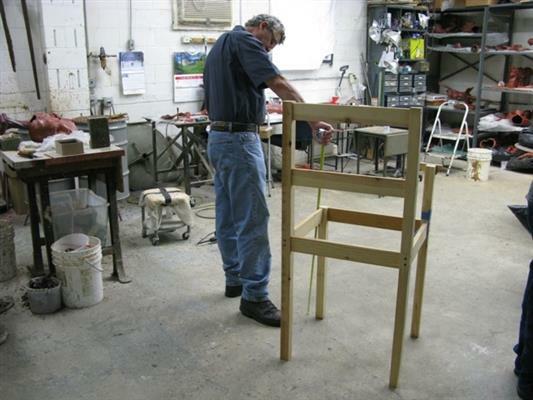 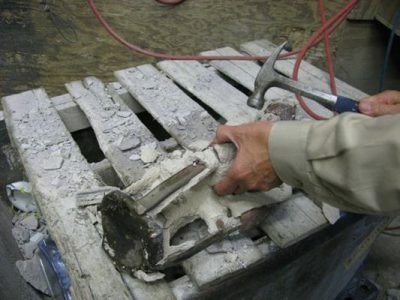 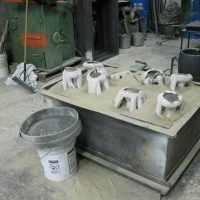 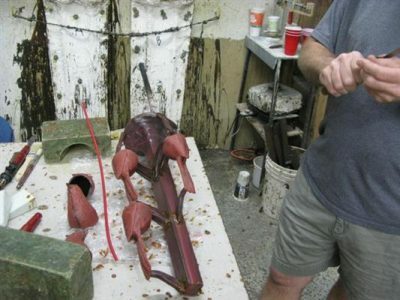 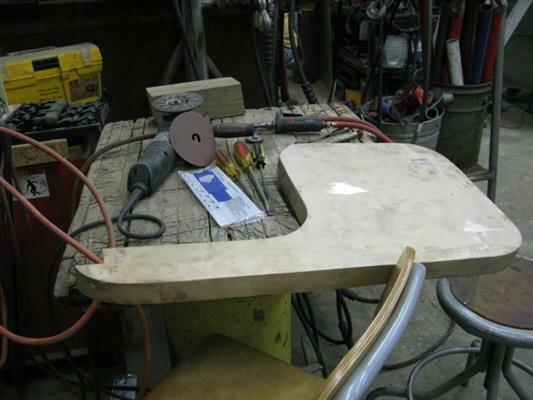 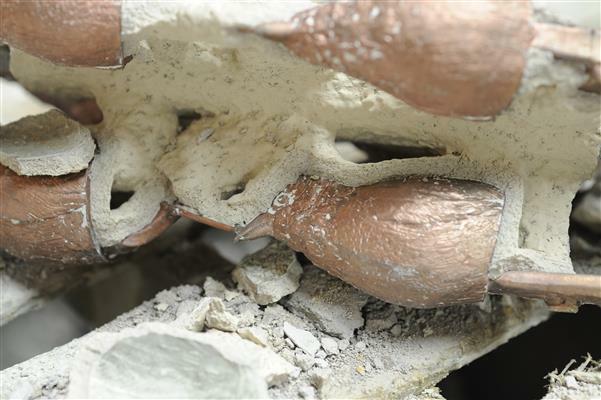 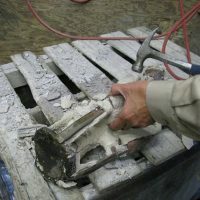 The artists reviewed the different components of the sculpture, as they were being prepared for the casting process. 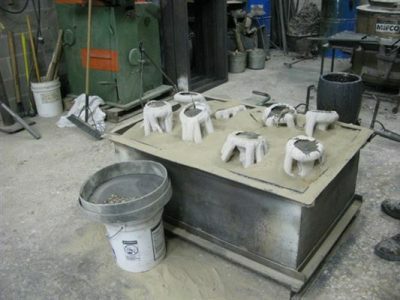 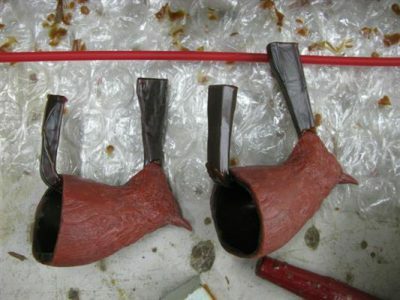 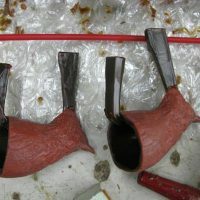 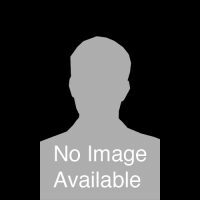 This included taking a look as the wax pepper birds, removing the ceramic investment mold from the bronze castings, and the first reveal. 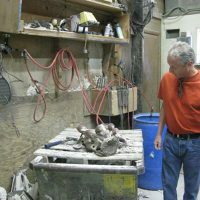 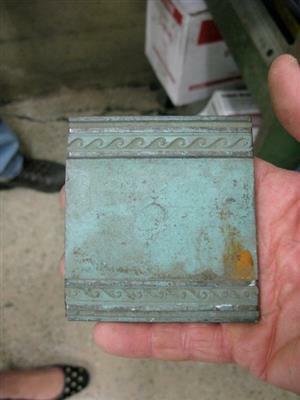 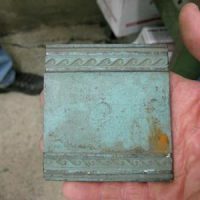 During the visit, they worked with Gary Siegel on selecting the final patina for the artwork . 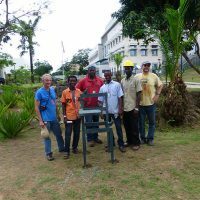 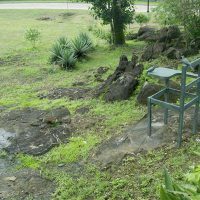 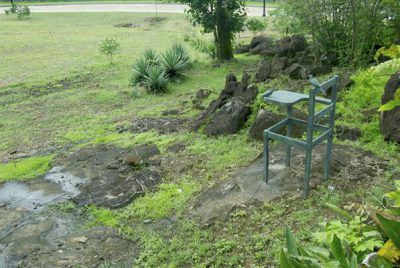 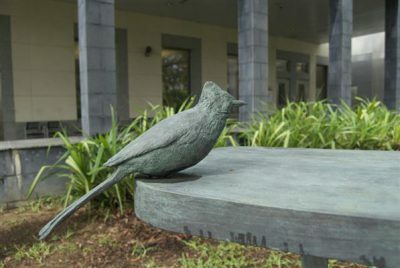 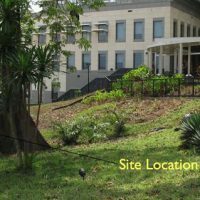 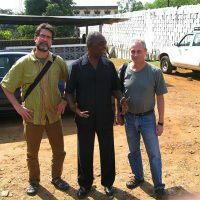 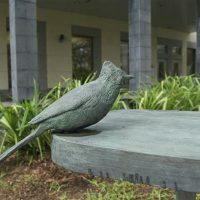 In May of 2014, Ashcraft and Winant traveled to Monrovia to install the sculptural part of the commission on the U.S. Embassy grounds. 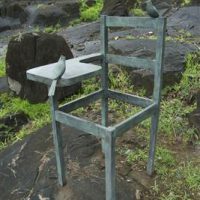 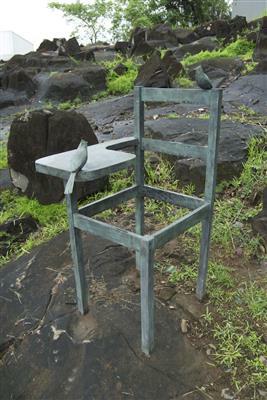 Four cast bronze, oversized school desk chairs populated by the national bird, the Pepper bird, evoke the folktale icon, who according to legend, shrieks each dawn until Father Night releases the people sleeping peacefully under his arms to Father Day so they can go about their daily work. 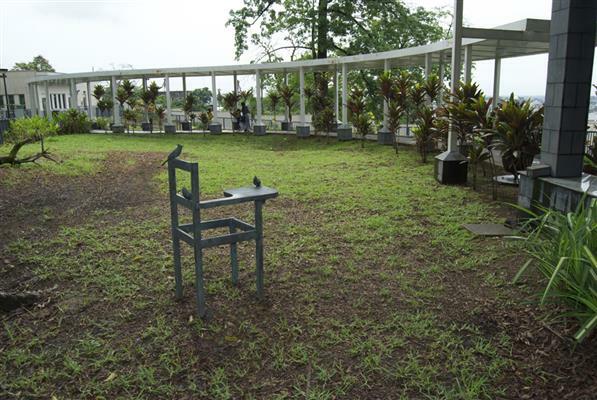 The symbolism of the chairs and Pepper birds carries over into the community in tangible ways. 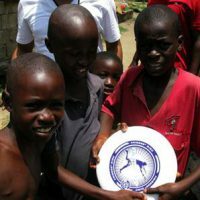 In Wenneh Town, Kakata, Margibi County, Workingman Collective partnered with the Checago Bright Foundation (a U.S. and Liberia based non-governmental organization) to build a playground where children and families from surrounding schools and neighborhoods can gather to socialize and share their similarities and differences through play. 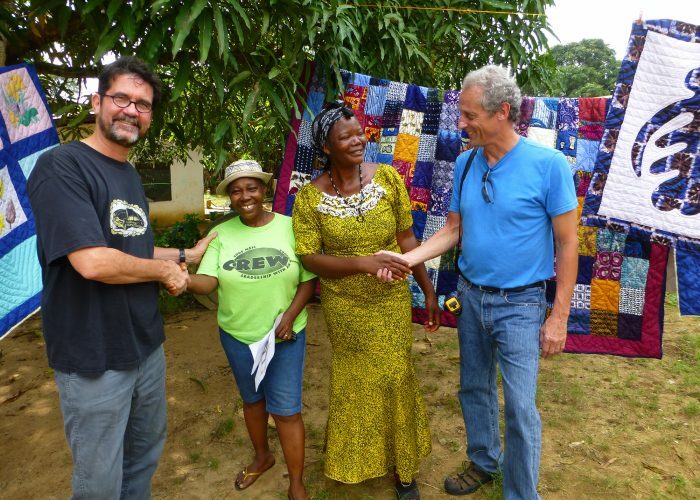 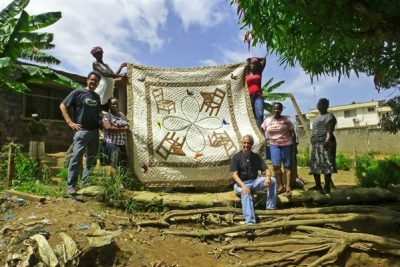 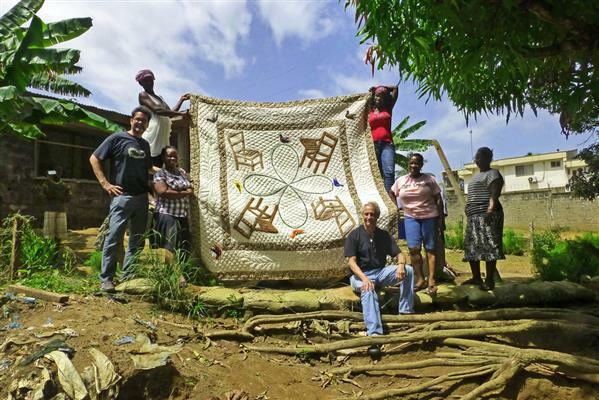 In Monrovia, in collaboration with the Quilters Guilds, Waste Not Inc. Alice Bracewell (Sinkor), Quageh, Maude Davis (Caldwell), and a team of young women created a visual document of Story in an edition of quilts. 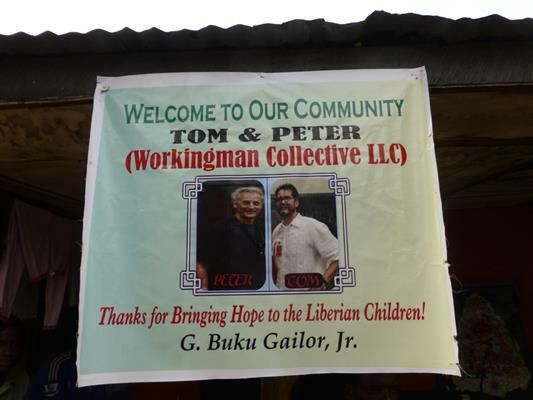 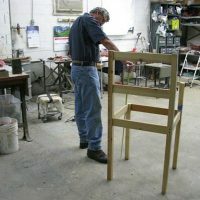 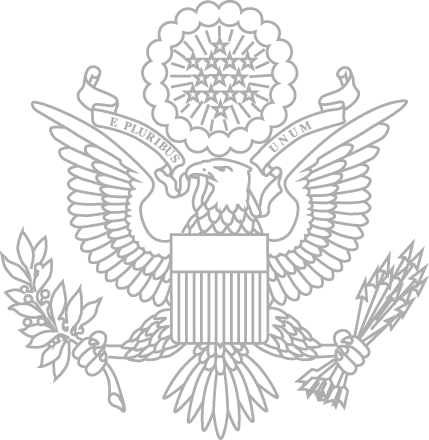 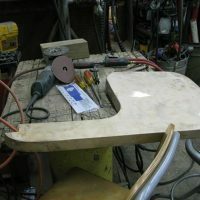 Based in the Washington, D.C. area, Workingman Collective is a collaborative group of artists and other professionals. 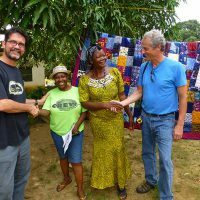 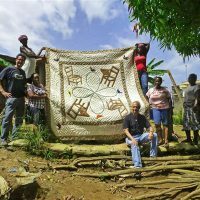 While membership, goals, and missions change with each project, the core members are Tom Ashcraft, Janis Goodman, and Peter Winant. 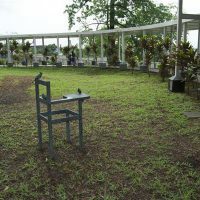 An interest in process, invention, chance, and the public guides their aesthetic approach and site research. 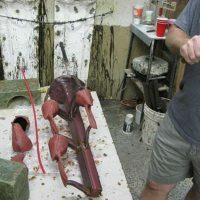 Typically, participation alters the process, producing new information that is integrated into the art experience. 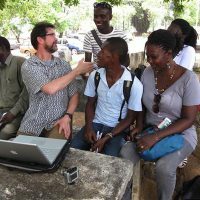 Ultimately, their projects seek to generate environmental awareness, stimulate the re-identification of a population with its hometown history, and urge participants into strengthening relationships with their neighbors. 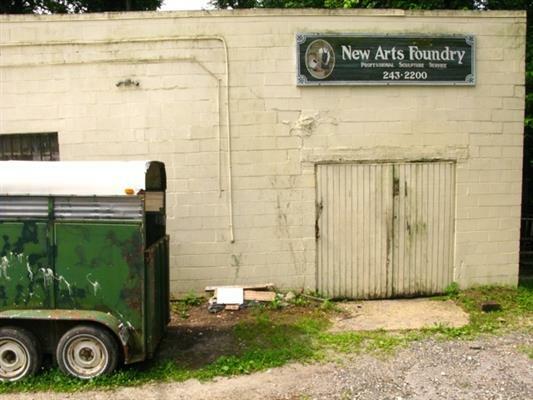 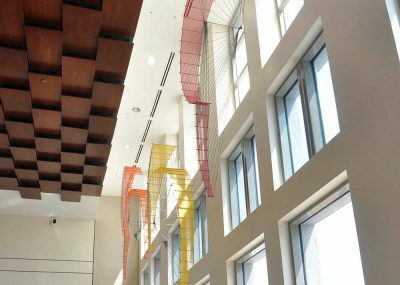 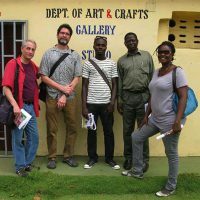 Since its founding in 2005, Workingman Collective has exhibited work and created projects in the U.S., Europe, Africa, and the Caribbean. 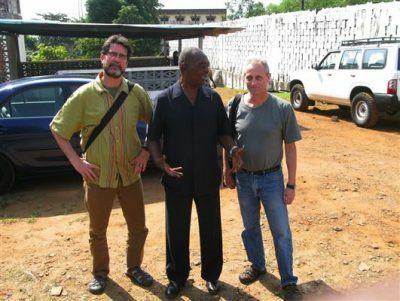 workingman-collective-2014-monrovia-img29WMC with Professor James Emmanuel Roberts, aka Kona Khasu Sr., former Deputy Minister for Planning, Research, and Developement Liberian Ministry of Education. Kona is a tremendous creative force in Liberia and among many things is an actor, play-write, activist, and Artistic Director of Blamadon Arts Center. 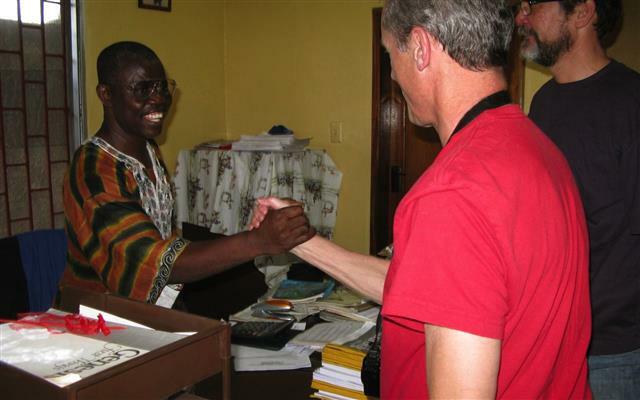 workingman-collective-2014-monrovia-img28Peter Winant perfecting the traditional Liberian handshake and snap with Solomon Joah. 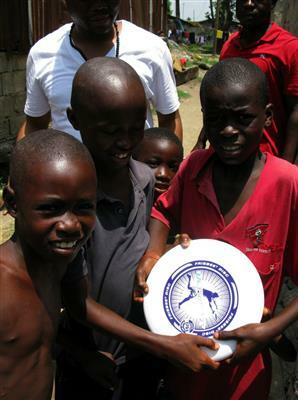 workingman-collective-2014-monrovia-img27Kids in Monrovia sporting a new Frisbee. 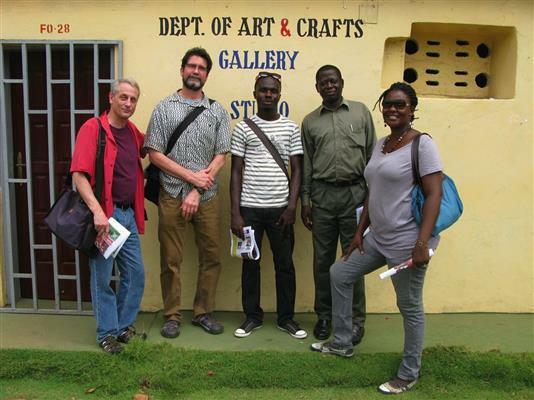 workingman-collective-2014-monrovia-img26WMC Peter Winant and Tom Ashcraft at the University of Liberia, with Oho Wilson, 4th from left, and students. 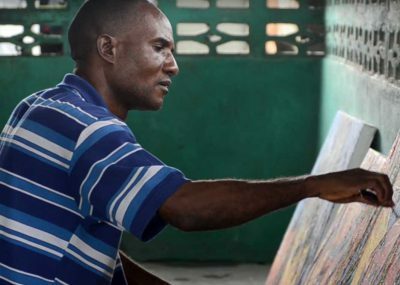 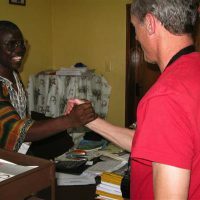 Oho is an extraordinary artist who immigrated to Liberia from Nigeria and is the only art professor at the university.